(LoanSafe.org) — There can be a number of positive results for a borrower when refinancing a mortgage such as, a lower interest rate and lower monthly payments. However, refinancing a mortgage may also be a costly decision. When refinancing, you must always consider the potential penalties that are associated with it. 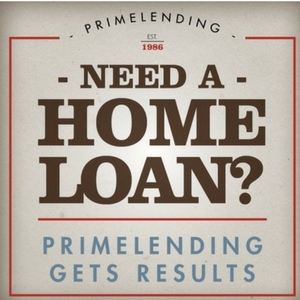 Conventional mortgage loans many times come with prepayment penalties when refinancing. Momentary penalties like this are usually brought about When trying to pay off a loan that isn’t fully mature and could generate thousands in unwanted expenses. Penalties like this often times impose that if a one time payment is made, that is more than 20% of the outstanding cost, a prepayment penalty will apply. If one is refinancing with their present lender, they might be able to arrange a waiver or reduction of the assigned prepayment penalty. Another factor when refinancing for the borrower to keep in mind is new closing costs. Closing costs are very difficult to avoid, since you are basically applying for a new mortgage. The borrower pays for these costs whether it’s added to the outstanding balance of the mortgage, or if it’s paid at closing. Some borrowers believe that they have avoided this by having a no closing cost mortgage when refinancing, this is a myth. They have not only just temporarily delayed this cost, but often times this increases the costs, and the interest rate may end up being a quarter to half a percent greater than market rates. The mortgage amortization may formulate that almost all of the new monthly payments goes to interest and very little of it goes to the principal allocation. It may take up to 15 years for the principal allocation and the interest to become equal. Borrowers with mortgages over 10 years old have to pay abundant portions of the monthly payments to the principal allocation. Options to reduce this penalty involve paying more to reduce the amount of the refinanced loan and reduce the payback term. A Borrower can avoid some of this penalty by opting for a 15 to 20 year mortgage term. However, with a shorter mortgage term the monthly payments will increase. Another hidden penalty is released when a borrower that is planning to move in the next five years decides to refinance. When all the different costs factor in, borrowers may not benefit much from refinancing, despite the planned long-term savings. A borrower should always consider the pros and cons when considering refinancing, because it could effect the future. Therefore, before you begin shopping around for a refinance it would be very wise to determine whether or not you have a pre-payment penalty. This will help you decide whether or not it is a good time for you to secure the refinance. If you find out there is no pre-payment penalty established, you will need to do the math and determine whether or not the refinance will truly save you money in the end.